Yeah, I definitely have some work to do in this area. I think all of us probably do. Great article from Ad Age. Thanks to Jacob for finding it! 1. Hiring people more talented than you is a great way to build a successful career. 2. Ego is the greatest enemy of leadership. 3. When people know what you want, they will often give it to you. 4. The ability to give honest constructive feedback is crucial to being a good leader. 5. Few people feel like they are on top of absolutely every detail. It’s ok. That’s why you build a team you can trust. 7. Even if you feel strongly about something, you might be wrong. 8. Your hardest critics may be most helpful voice you hear. 9. Sharing praise is a compromise. You should just give it all away. 10. Integrity is the single most important characteristic of a good leader. Take one hour out of your life to watch this. You will be glad you did. 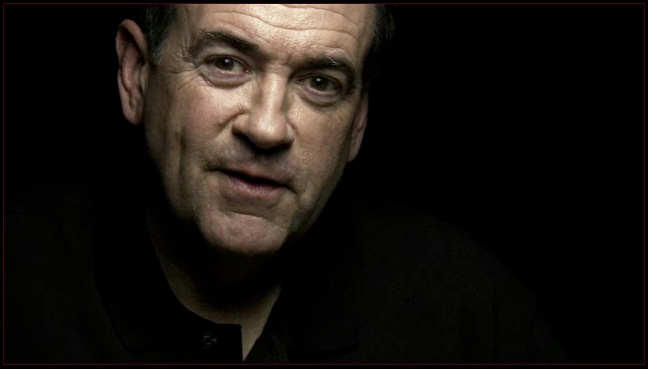 I think this video of Mike Huckabee from I Am Second is so powerful. Watch it. I recently changed jobs. This was a big decision for me. I had been with my previous company for seven years. My boss didn’t want me to leave. Many people at the company didn’t want me to leave. But I felt the call to go somewhere else and I’m really enjoying my new role at The Soderquist Center for Leadership and Ethics. Soon after I left, I had a conversation with a friend of mine who had been my sounding board throughout the process. He is also grappling with a possible career move. He told me that after watching me make this very big decision, he now feels empowered and unafraid to make a move if a good opportunity presents itself. Doing hard things is not just about you, these decisions can also empower the people around you to change their paradigms. I recently purchased a 1976 MG Midget Convertible. I needed a car to get me around town since I’m changing jobs and no longer have a company vehicle. My search narrowed down to two choices. A 1991 Acura Legend and the MG Midget. Both were in decent shape, both cost less than $2,000, both got good gas mileage, and both accomplished the same basic need of transportation. The difference is that the MG gets noticed. And that’s where the marketing lesson comes in. Since I purchased the MG, I’ve driven it around town several times and observed reactions when people see it. Some people almost get a crick in their neck watching it drive by. Others give it a quick glance and go on their way. Some barely notice it at all. But almost everyone at least acknowledges the uniqueness of this car among the hundreds they see everyday. So, what can the MG teach us about effective marketing? • Effective marketing doesn’t have to be over-the-top extreme, it just needs to differentiate you from the pack. Sure, a hot pink monster truck would get even more attention than the MG, but at the expense of reputation, tact, and cost. • Marketing should be unconventional, just like my decision to buy the MG. Most people would never even consider buying a 33 year old car, yet its age is one of the things that makes it all the more interesting. People just don’t see cars like this very often. The Acura was conventional and expected. • It should tell a good story. When people hear about or see the MG, they want to know more about it. What does MG stand for? Where did you find it? Why does it have three windshield wipers? • It doesn’t have to cost a fortune. • It should be talkable and easily spread by word of mouth. People have been talking about the MG before they even see it. It has created quite a bit of anticipation and interest. • The name you choose should be catchy and memorable. “MG Midget” is just fun to say. And you remember it because the name relates directly to the main characteristic of the car, it’s size. I just listened to a segment on the Catalyst Podcast with Blake Mycoskie who is the Chief Shoe Giver and Founder of TOMS Shoes. He had some interesting things to say about his learning experience while creating TOMS. Catalyst: What would you say to businesses who are thinking about doing some form of cause marketing? Blake: I think there are some businesses that are meant to do just business. If you’re going to do cause marketing, it needs to be completely transparent, otherwise it will backfire. Take the AT&T commercials we did for example. It was completely authentic. I’ve been a customer since 1997, I run my entire business from my phone and I’m constantly building a business and at the same time helping people live better lives. And the one thing that connects those two things is the phone. Catalyst: There are a lot of ideas being launched everyday. What made TOMS Shoes break through and what was the catalyst that made it happen? Blake: First you need a Purple Cow idea, something worth talking about. TOMS wasn’t the first shoe company to be philanthropic but we were the first to give a shoe for every shoe purchased. Second, you have to be persistent. It took three hard years to get it off the ground. Catalyst: What have you learned about leadership while running TOMS? Blake: You can only be a leader by empowering other people. The more you try to control, the bigger the bottle neck you create and the more frustrated people get. Plus, empowering people shoes that you trust them. I have no day to day responsibility at TOMS because I have empowered people to run the business and they know I trust them. Catalyst: What have you learned about yourself on this journey? Blake: I started TOMS as an extrovert, now I’m an extreme introvert. When you are successful, everyone wants to spend time with you. The most important thing to me is spending time with close friends and families. I like to just lay low and spend time with close friends. Catalyst: What was the most difficult part? Blake: Learning how to produce shoes. We had no idea how to do it. Manufacturers were trying to screw us on the price and we had to figure out how to scale from 10 shoes to 1,000 to 10,000. Catalyst: What does TOMS mean? Blake: It started with the idea of “Shoes for Tomorrow” then it went to “Tomorrow Shoes” but that wouldn’t fit on a label. So we shortened it to TOMS. It stands for a better tomorrow. We are all part of TOMS in some way. Catalyst: What does the future of TOMS look like? Blake: We want to focus less on us as TOMS and focus more on how we share the story with as many people as we can. We are intentional about building one on one relationships with churches and young people so that more people will go out and create the next TOMS. A long time ago, a former boss of mine used to say that if we achieved a specific goal he would take us out for a steak dinner. He was usually quite impassioned about it, almost as if he couldn’t wait to reward us. Even though he meant well, the problem was that he never followed through on his promise. People want leaders who follow through. Even a promise as seemingly inconsequential as a meal, if unfulfilled, goes a long way to show people you don’t care about them. Stick to the old adage: Under promise, over deliver.